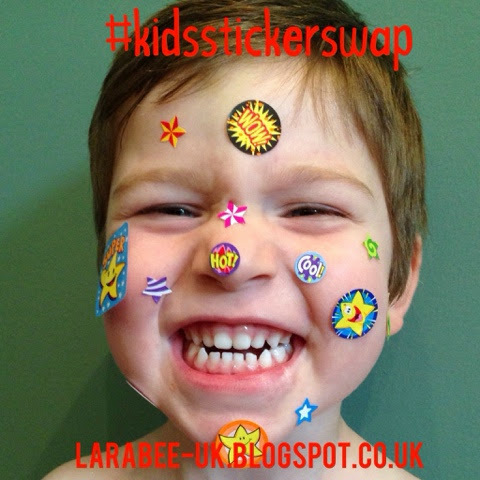 I'm organising our first kids sticker swap and as you can see, we are really excited by it! 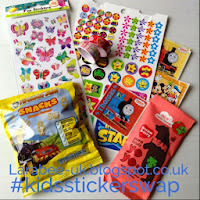 I saw a great idea over at The Reading Residence for fantastic packages of stickers for kids, unfortunately I can't afford to subscribe, so I thought I'd organise a swap instead! We're looking to receive our packages by 20 October. 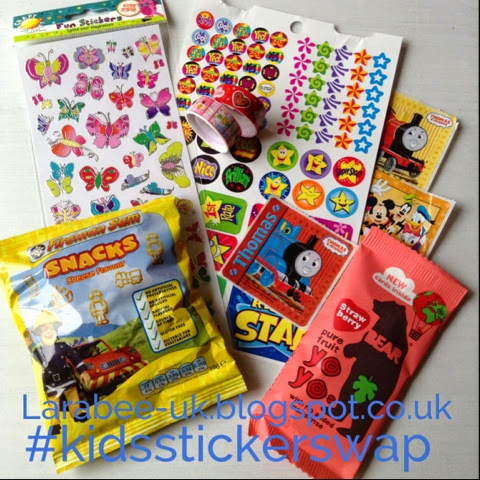 I've started to put together some ideas on our kids sticker swap pinterest board these include lunchbox notes, printable stickers and some ideas for how use your stickers. This got me thinking about what to put in my sticker pack, so here's a little list of things that I'm going to keep handy for when I'm putting my package together, if you've got other ideas, please leave me a comment, I'd love to make this a joint effort! If you would like to post to our pinterest board do let me know, you don't have to be part of the swap to share ideas! If you join the swap I will automatically send you an invite to post to the pinterest board if I know your account. Oh yes and we're going to add a couple of little treats in for good measure!